Memorial Sloan Kettering researchers contributed more than 180 abstracts to this year’s ASCO meeting. 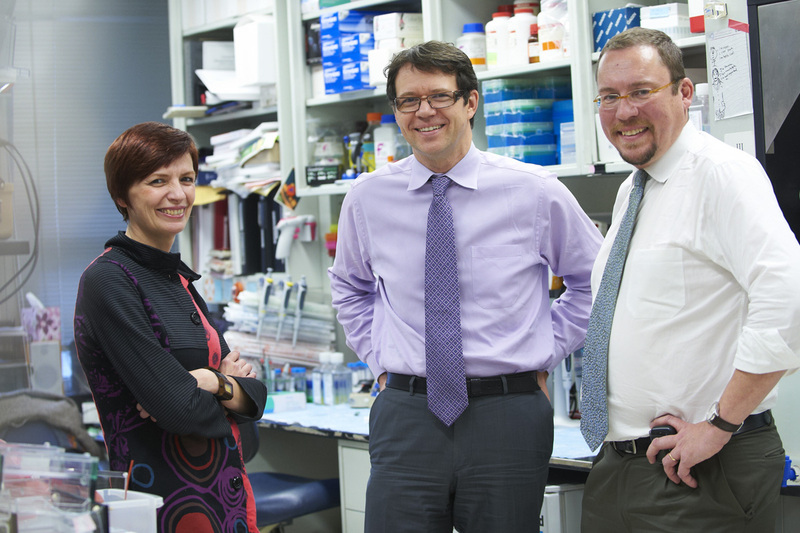 Their scientific contributions are advancing the treatment options for all types of cancer. The annual meeting of the American Society of Clinical Oncology (ASCO) wrapped up on Tuesday, June 6. So much happened at the conference beyond what was featured in the plenaries and press program that we thought a roundup of additional highlights would be helpful. Here, grouped thematically, are some of the important advances spearheaded by Memorial Sloan Kettering researchers. Determining why some people respond to immunotherapy drugs while others do not is an urgent question facing oncologists. Quite a few presentations at ASCO delved into this issue. Several of them focused on the role of mutations in tumor cells. Previous research has suggested that cancer types with a higher mutational load — those with more mutations — tend to have better responses to immunotherapy. Melanoma and lung cancer are in this group. Presumably, the more mutations there are in a tumor, the higher the likelihood that a cell will make altered proteins that the immune system recognizes as foreign. At this year’s ASCO meeting, we learned that mutational load is a factor influencing the response to immunotherapy in several additional types of cancer. Bladder cancer: MSK’s Min Yuen Teo, Margaret Callahan, and colleagues explored the role of mutations in influencing the responses to PD-1/PD-L1 inhibitors in people with metastatic bladder cancer. Specifically, they looked at mutations in 34 genes involved in the DNA damage response. 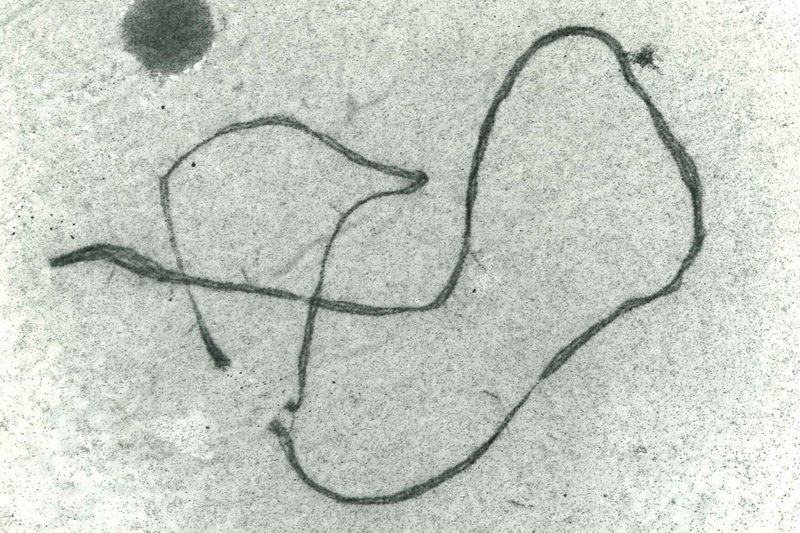 This is a protective mechanism that cells use to detect and repair damaged DNA. When these genes are mutated, the repair process is less effective and mutations accumulate in a cell. Drs. Teo and Callahan and colleagues found that in 52 people treated with either atezolizumab (Tecentriq®) or nivolumab (Opdivo®), having mutations in DNA repair genes was associated with a better overall response to treatment. The researchers suggest that these mutations should be studied further as potential predictive biomarkers of response to immunotherapy. Also in bladder cancer, Gopa Iyer, Dean Bajorin, and collaborators looked at the influence of mutations in a DNA repair pathway called mismatch repair (MMR). Defects in the MMR pathway result in an accumulation of mutations. The buildup forms a pattern of genomic change called microsatellite instability. A total of 424 patients at MSK had their tumor DNA analyzed for mutations in MMR genes. Individuals with these mutations represented a small fraction of those examined, but they were the ones with the most durable responses to immune checkpoint inhibitors. This result parallels what is seen in people with MMR-deficient colon cancer. The FDA recently approved the PD-1-blocking checkpoint inhibitor pembrolizumab (Keytruda®) for the treatment of cancers that carry this mutation. This was the first approval of a cancer drug based not on the location of the tumor but on a particular mutation. The pivotal studies leading to pembrolizumab’s approval were led by MSK’s Division Head of Solid Tumor Oncology Luis Diaz when he was at Johns Hopkins. Lung cancer: Matthew Hellmann, Nikolaus Schultz, and team examined the role of mutations — including those in yet a third type of DNA repair pathway — in influencing response to immune checkpoint blockade therapy. Of 197 people with non-small cell lung cancer (NSCLC) who had their tumors sequenced through MSK-IMPACT™, 30% experienced a durable clinical benefit from drugs blocking PD-1/PD-L1. The investigators found that the tumors of people who experienced a durable response had a higher number of mutations. In particular, mutations resulting from a defect in a type of DNA repair called homologous recombination and mutations due to smoking were more common in people who benefited from the drugs. The investigators went further and identified specific mutations that correlated with a lack of durable benefit from checkpoint blockade. Mutations in the genes STK11, JAK2, and CD274 (PD-L1) were associated with resistance to anti-PD-1/PD-L1 therapy. Separately, MSK researchers Joshua Sabari, Alexander Drilon, and colleagues found that a specific mutation in a gene called MET was associated with resistance to PD-L1 therapy in people with metastatic NSCLC. And in the neoadjuvant context (when the drugs are given prior to surgery), MSK medical oncologist Jamie Chaft, in collaboration with colleagues from Johns Hopkins, found a similar association between a tumor’s higher mutational load and its response to PD-1 blockade in people undergoing surgery for early-stage NSCLC. Esophageal cancer: Geoffrey Ku, Yelena Janjigian, and other researchers looked at the relationship between MMR mutations and response to PD-1/PD-L1 immunotherapy among people with esophageal cancer. They found that people with tumors carrying these mutations were more likely to derive significant benefit from this immunotherapy than those whose tumors didn’t have these mutations. 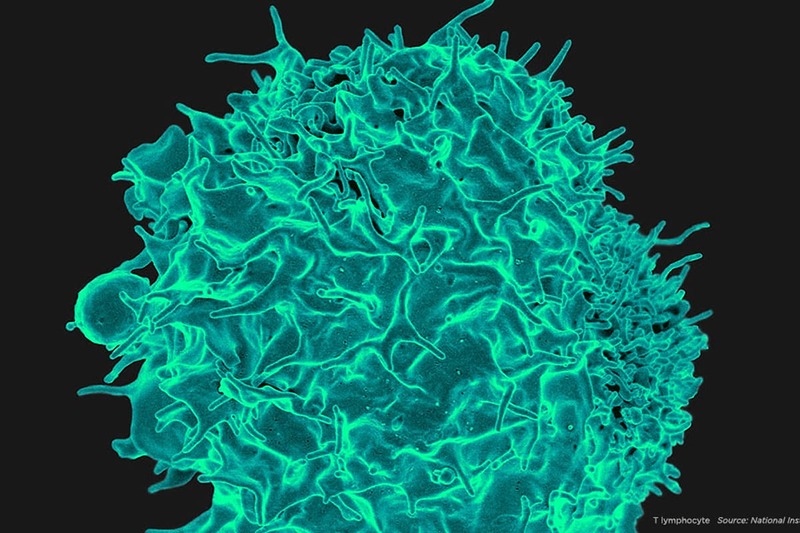 Even among people with high levels of mutations, not everyone responds to immunotherapy. Scientists at MSK and elsewhere are exploring ways to increase response rates — for example, by combining different drugs and using cancer vaccines to jump-start immune responses. Chimeric antigen receptor (CAR) T cell therapy is a promising form of immunotherapy. It uses genetically engineered immune cells to fight cancer. MSK researchers pioneered this approach, which has proven very effective at treating advanced, chemotherapy-resistant leukemia in children and adults. Unraveling toxicity: A complicating factor of this treatment is the potential for sometimes severe side effects, including neurotoxicity. This can include brain swelling, altered consciousness, seizures, and even death. Within the past year, there have been several fatalities on CAR T clinical trials due to very severe neurotoxicity (although none at MSK). To better understand the nature of this neurotoxicity, MSK researchers Bianca Santomasso, Renier Brentjens, and colleagues studied the cerebrospinal fluid and brain scans of people who developed severe (but not fatal) neurotoxicity. These patients had been enrolled in a phase I clinical trial of CD-19-specific CAR T cells. All of them had relapsed or refractory B cell acute lymphoblastic leukemia (ALL). Of the 51 people examined, 21 developed this complication. Four of those 21 had mostly reversible toxicities in brain regions that were evident on MRI scans. The researchers also identified a particular profile of elevated immune-signaling molecules called cytokines in the cerebrospinal fluid at the time of neurotoxicity. Future work by the team will explore the cause of this distinct cytokine profile. This center brings together clinicians and scientists who are developing cell-based therapies to treat cancer and other diseases. Within this same group of 51 patients, MSK physician-scientists Jae Park, Dr. Brentjens, and colleagues studied additional clinical correlates of neurotoxicity. They found that having more-extensive disease at the time of the CAR T cell infusion was significantly associated with neurotoxicity in these patients. Also associated with the side effect were fever and several blood changes, including elevations in specific cytokines. Not associated with neurotoxicity were age, weight, the CAR T cell dose, the choice of pre-treatment chemotherapy regimen, or the prior lines of therapy. The investigators concluded that these data provide a clinical picture of early biomarkers of severe neurotoxicity that should help doctors identify people who may need additional and urgent care. Armored CARs: CAR T cell therapy for solid tumors has not been as effective as it has been for leukemia and other blood cancers. One reason for this disparity may be the presence of molecules around the tumor that suppress immune cells. MSK researchers Oladapo Yeku, Dr. Brentjens, and colleagues presented work on so-called “armored CARs.” These cells have been engineered to produce additional molecules, in this case the cytokine IL-12. The researchers hypothesized that IL-12 released from the armored CAR T cells would make the tumor’s environment more hospitable to immune cell activity. In a mouse model of ovarian cancer, they found that these IL-12-secreting CAR T cells were indeed more effective at attacking the cancer and improving survival. In a study presented at ASCO, MSK surgeon Monica Morrow, who co-chaired the consensus guideline development, and Steven Katz, from the University of Michigan, looked at the 2014 report’s influence on clinical practice in the years since its publication. They found that additional surgery after an initial lumpectomy markedly decreased — by 16% — between 2013 and 2015. In tandem, the final lumpectomy rate increased by 13% in this time period (rising from 52% to 65%). The rate of unilateral mastectomy fell from 27% to 18%, and the rate of bilateral mastectomy fell from 21% to 16%. The study authors conclude that “guidelines can be an effective, low-cost approach to addressing clinical controversies.” A paper accompanying the ASCO presentation was published simultaneously in JAMA Oncology. You can read more about the study and the research paper here. 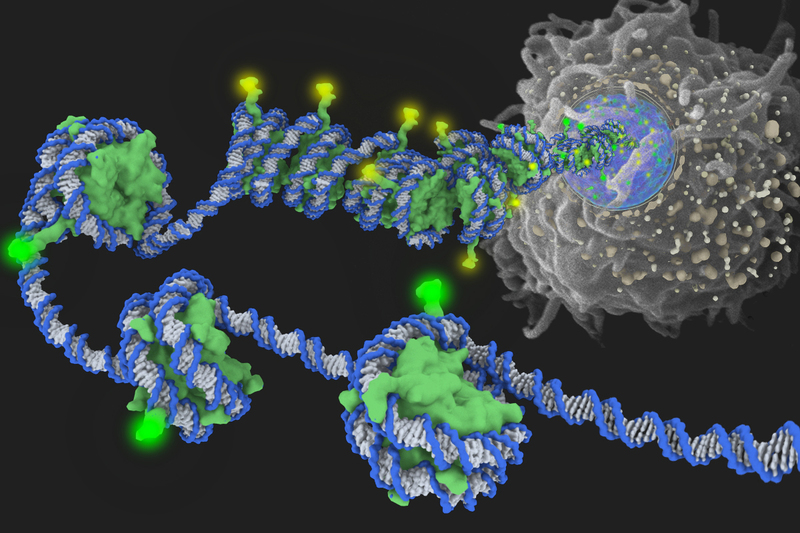 Cancer researchers are excited about a new field called epigenetics, which is concerned with the way that DNA packaging in chromosomes can influence gene expression. Five years ago, MSK researchers discovered that several types of cancer have mutations in an enzyme called IDH2. This mutated protein leads to modifications of DNA and histones, which are the proteins around which DNA is spooled in chromosomes. The changes block the differentiation of the cells and lead to abnormal, continuous growth. At ASCO, MSK hematologic oncologists Eytan Stein, Martin Tallman, and colleagues reported the final results of a phase I/II clinical trial of the drug enasidenib in people with relapsed or refractory acute myeloid leukemia (AML) that has an IDH2 mutation. Among the 176 people who received this drug, the overall response rate was 40%, including 34 patients (19%) who experienced a complete remission of their cancer. The average length of survival was 9.3 months overall and about 20 months for those who had a complete remission. An accompanying scientific paper detailing the study’s findings was published in the journal Blood. Some chemotherapy drugs work by killing cancer cells. Enasidenib, however, works by steering cancer cells back to normal. It squelches the mutated protein that blocks differentiation of bone marrow cells. With the mutated protein out of the picture, the cells can resume normal development. Enasidenib was granted Fast Track designation by the FDA in 2014. In March 2017, it earned Priority Review status. An approval decision is expected before August 30, 2017. The discovery of inherited mutations in BRCA genes underlying a family history of breast, ovarian, and prostate cancers was a watershed moment in cancer research. In addition to improved genetic screening, the understanding that cancers with these mutations have defects in DNA repair pathways has led to improved treatment options for people with these cancers. Drugs called PARP inhibitors further hobble DNA repair pathways, and BRCA-mutated cells are uniquely susceptible to this double hit. One PARP inhibitor is already approved, for ovarian cancer. The results of a large phase III study of PARP inhibitors in breast cancer were just released at this year’s ASCO and covered earlier this week on our blog. Researchers are learning that BRCA mutations that are not inherited are also common in cancers. (Mutations that occur sporadically through life and are not inherited are called somatic mutations.) Moreover, the BRCA genes are just the tip of the iceberg when it comes to mutations that affect DNA repair pathways. Several MSK investigators are looking at the incidence of both germline and somatic mutations in several types of cancer. Their goal is to uncover additional potential targets for PARP inhibitors. Prostate cancer: MSK physician-scientists Michael Cheng, Howard Scher, and colleagues performed DNA sequencing using MSK-IMPACT on tumor and normal cells from 896 people with advanced prostate cancer. They found a high frequency of mutations in genes that regulate the DNA damage response (DDR). These mutations were sometimes found only in the tumor (somatic). In other cases, mutations were found in normal cells too, meaning they were likely inherited (germline). As many as 29% of patients had either a somatic or germline DDR mutation. This finding is noteworthy because people with DDR mutations may respond well to treatment with PARP inhibitors, which are selectively toxic to cancer cells with these mutations. Learn about the work Memorial Sloan Kettering scientists are doing in the area of genome integrity. Ovarian cancer: Approximately 15% of women with ovarian cancer have a germline mutation in a BRCA gene, and about 6% have a BRCA mutation only in their cancer cells (a somatic mutation). BRCA proteins play a role in a DNA repair process called homologous recombination. For women with these germline or somatic mutations, PARP inhibitors are an FDA-approved therapy. Carol Aghajanian, Karen Cadoo, and colleagues wanted to know the prevalence of somatic mutations in other homologous recombination genes. They used MSK-IMPACT to sequence the tumors of 260 women and look for mutations in 14 such genes. They found that 17% of ovarian cancer tumors harbor somatic mutations in homologous repair genes. BRCA1 and BRCA2 mutations were most common, but 60% of identified mutations were in other genes. The investigators note that these results may identify a larger group of women who may benefit from PARP inhibitors. Kidney cancer: Maria Carlo, Robert Motzer, and others used MSK-IMPACT to study the prevalence of germline mutations in cancer-susceptibility genes in people with kidney cancer. Among 203 people with advanced kidney cancer, 17% (35 patients) had a germline mutation in a cancer-associated gene, with CHEK2 being the most frequent. 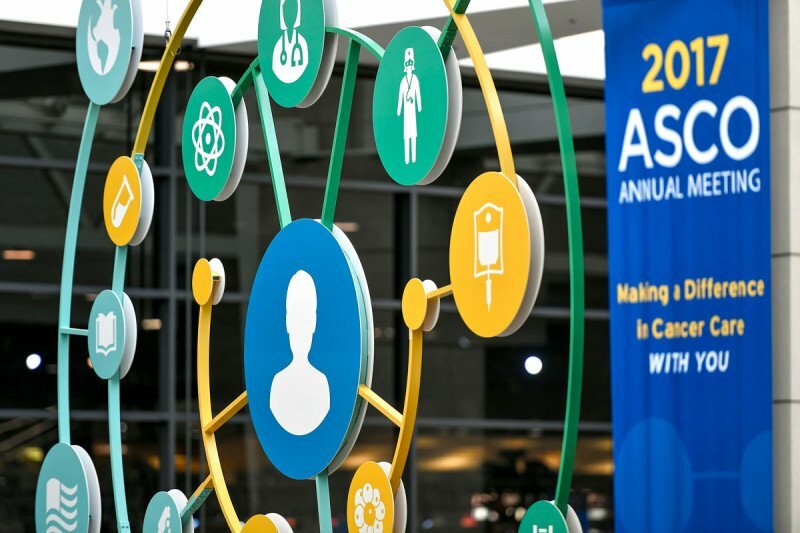 Visit our blog to read about other advances at this year’s ASCO meeting. My husband has been diagnosed with adenocarcinoma with mutations PPP2R1A and SMARCA4. Is any work/research being done by MSK to address either of these mutations, which as I understand it are common mutations in cancers but as yet have not been 'targeted' for treatment. Is any research in process and are there any trials being conducted? If your husband is interested in having a consultation to learn more about this trial, you can call 800-525-2225 or go to https://www.mskcc.org/experience/become-patient/appointment for more information on making an appointment. Thank you for your comment, and best wishes to you and your husband.